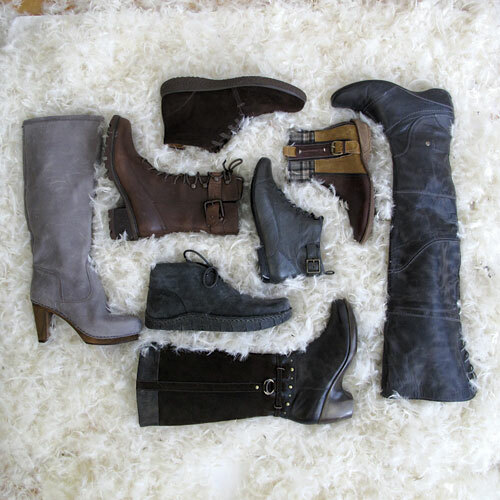 With cushy soles and lush materials, these fall boots were made for walking. 1. Merrell retro-striped boot. 2. Sebago ankle boot. 3. Blondo pull-on. 4. Kork-Ease over-the-knee style with mini-stud detail. 5. Kickers shearling-lined crepe-sole boot. 6. Sperry Top-Sider boat shoe-inspired lace-up. 7. Rieker hiker with plaid cuff. 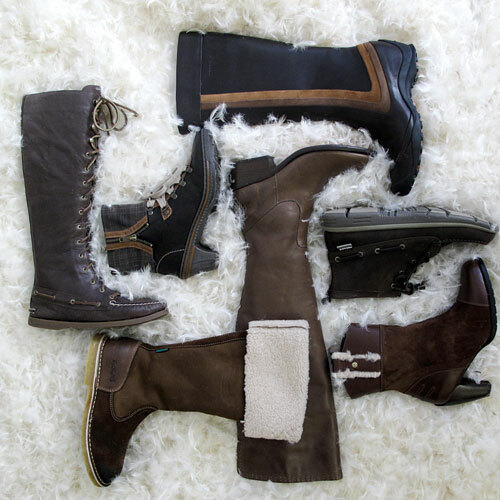 With cushy soles and lush materials, these fall boots were made for walking. 1. Sanita clog-bottom boot. 2. Rockport buckled lace-up. 3. Ecco desert boot. 4. Spring Step two-tone ankle boot with plaid detail. 5. Pikolinos over-the-knee style. 6. Naot calf-height boot with studs. 7. Earth chukka. 8. Indigo by Clarks granny bootie.